Both large and small scale energy storage utilize batteries. The electric utilities are looking into using a new kind of storage battery. Example. The usage of batteries as storage technologies is demonstrated with this kit. 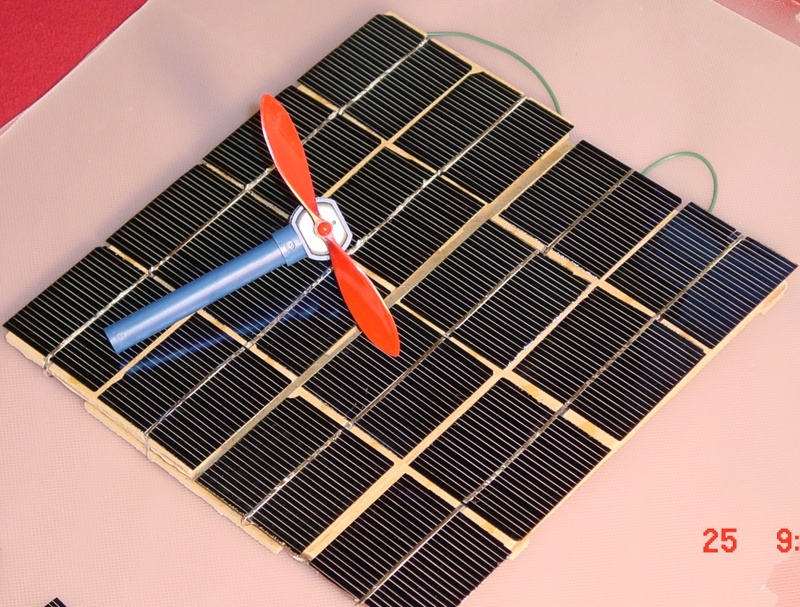 Batteries are used in this kit to store electricity produced from solar energy. This green stored electric energy can be used later to do work, such as run motors and run our electronic gadgets. A good FAQ website illustrating how deep cycle batteries work. Checkout this interesting website on how Lithium Air storage batteries extend and electric car's range. Another website on Lithium Air batteries for electric cars. A realistic look at Lithium Air batteries from the Argonne National Laboratory. Where as a battery provides a chemical means of storing energy, the flywheel provides a mechanical means of storing energy. Video of real application for flywheel usage from Vycon. Beacon Power says its latest flywheel will provide one megawatt of storage to the electricity grid by the end of the year. Flywheel energy storage works by accelerating a cylindrical assembly called a rotor (flywheel) to a very high speed and maintaining the energy in the system as rotational energy. The energy is converted back by slowing down the flywheel. The flywheel system itself is a kinetic, or mechanical battery, spinning at very high speeds to store energy that is instantly available when needed. Potential Energy storage can be implemented in different ways. Compressed air energy storage is one example of potential energy storage. CAES (compressed air energy storage) is relatively low efficiency and prices out to about $1000 per kilowatt of storage as compared to about $3000 per kilowatt for lead acid battery storage. These estimates are according to EPRI (Electric Power Research Institute). Gravitational Energy Storage is another example of potential energy storage. Another explanation of gravitational energy storage is found here. For large-scale power storage, why have we not built large-scale weights (many hundreds and thousands of pounds each) that could slide up and down tracks on hillsides (or go up and down existing mine shafts, or follow other methods)? As they go up, they could accumulate potential energy, and as gravity later brings them back down, they could put their potential energy back into the grid. Hydrogen energy storage is another form of chemical energy storage that utilizes one of the most abundant elements of our universe: Hydrogen. The problem is, Hydrogen is not naturally abundant on the earth and has to be made. To make Hydrogen requires the expenditure of energy. This is the reason many consider Hydrogen not as an energy source, but as a storage medium. Used with solar energy panels, Hydrogen can be a source of low cost energy.